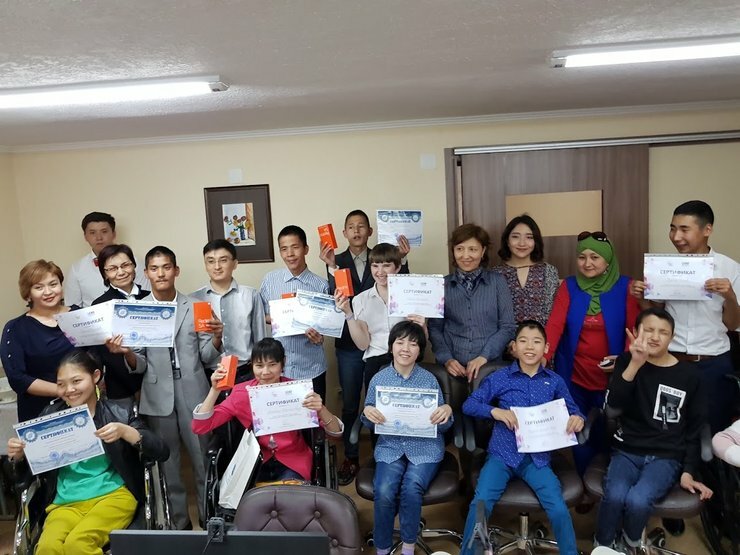 With support from the International Foundation for Electoral Systems (IFES), a media contest for persons with disabilities was held in Kyrgyzstan to increase awareness and inclusion of youth with disabilities into social life and decision-making. The contest fostered enhancement of communication and presentation skills among the participants through the usage of modern technology, social networks and media production applications. Following the contest, representatives from disabled persons' organizations (DPOs) raised awareness of inaccessible polling stations and attitudinal barriers faced by persons with disabilities while lobbying for their support during a Creative Media Laboratory event at the end of March. The Creative Media Laboratory event brought together young well-known media advocates to produce ideas and initiatives on how to advocate for equal rights of at-risk and vulnerable communities using media products, focused on the experiences of persons with disabilities in electoral processes and daily life. As a result, a PSA was created devoted to the promotion of accessibility of polling stations and the election process for voters with disabilities. The media contest and Creative Media Laboratory event are part of a larger project encouraging participation of persons with disabilities in public life. Other activities included a democracy camp, voter education presentations for first-time voters with disabilities, and a training on Building Resources in Democracy, Governance and Elections (BRIDGE) on Disability Rights and Gender in Elections.